July 1st, 2012 marks the effective date for 131 pieces of legislation that were passed by the General Assembly this year and signed into law by Governor Deal. Keeping you informed is a high priority for me as your State Senator, so today I’d like to take the opportunity to mention a few of these bills and resolutions that may be of interest to you. Among this list, you will find a wide range of topics from education and taxes to criminal justice reform. I hope that this list will give you a better idea of what changes to expect as we approach this date. SB 153 Documentation Requirement for Teachers & Administrators Terminated for Financial Reasons. SB 289 Online Learning Options for Georgia Students. SB 293 “In God We Trust” License Plates: Upon request, Georgia drivers may display the nation’s motto in place of the county name. SB 309 Taylor’s Law: DNR’s ability to give special authorization to hunt big game or alligators to any person not older than 21 years of age who has been diagnosed with a terminal illness. SB 332 Retail Advertisements; Public Reporting of Surplus SPLOST Funding; Local Energy Excise Manufacturing Tax. SB 358 Preference for Products Produced in Georgia. SB 441 Unlawful Pointing of a Laser Device at a Law Enforcement Officer or Aircraft. SB 473 Purple Heart License Tag: Expands availability of the tag to include recipients who are currently serving on active duty or in the reserves. SB 492 State Purchasing Contracts: Authorizes Multiple award schedule contracts which allow multiple vendors to be awarded a state contract for goods and services which results in competitive pricing, administrative savings, expedited procurement, and flexibility for state purchasers. HB 175 Online Clearinghouse Act: Creates an online clearinghouse of computer-based distance learning courses offered by local school systems and charter schools. HB 386 Comprehensive Tax Reform: Exemptions in the bill that go into effect on July 1st include the Film Sales Tax Exemption and Jet Fuel Exemption. HB 685 Responsible Dog Ownership Law: Requires the classification of dogs as dangerous or vicious and provides for regulation of those dogs. HB 766 Foundations of American Law and Government Displays: Allows displays of educational and informational material about the history and background of American law, and the Foundations of American Law and Government display, to be in any public building of the state. HB 797 State Charter Schools Commission: The seven-member Commission is a state-level authorizing entity that would work in collaboration with the Department of Education under the supervision of the State Board of Education. The Commission has the power to approve or deny petitions for state charter schools and renew, not renew, or terminate state charter school petitions according to rules and regulations. HB 861 Social Responsibility and Accountability Act: Requires most applicants for Temporary Assistance for Needy Families (TANF) to take a drug test as a condition for receiving benefits. Please feel free to email me with any questions you have or ideas for future legislation that this list may have sparked. I am always open and eager to hear from you. Also, if you are interested in seeing the complete list of bills effective July 1st, 2012, I would be happy to provide that to you. 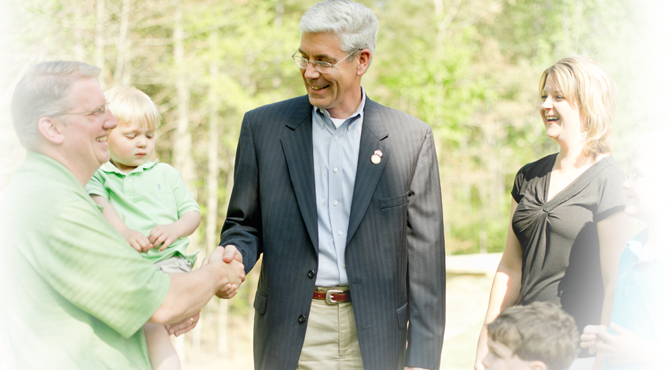 Thank you for allowing me the opportunity to represent you as citizens of the 31st Senate District. It is an honor and privilege to be your voice at the State Capitol.